I often use the park connector behind to ride to Jurong library, IMM etc. Is muddy after rain & connector terminates before the railway track which is land owned by Msia. 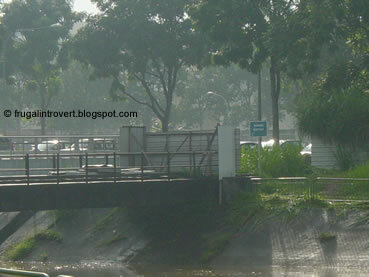 Unfortunately nparks barricaded the railway bridge citing safety reasons. 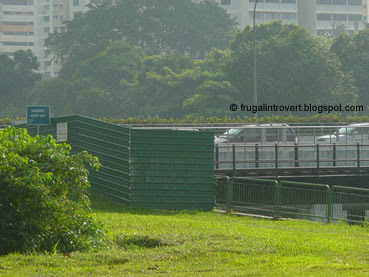 Heck people have been using the abandoned railway bridge to cross over to the connector beside International Business park & continue on to Jurong. Now then Msia have agreed to 60% share in some Marina prime area property in exchange for railway land, it makes little sense for nparks to fence it up instead of implementing interim measures to make the trail less muddy & a safer bridge. 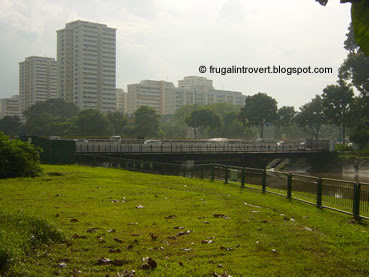 People have complained about the DISconnector situation since 2007(thread in a cycling forum) & to nparks & nparks have not done anything. I'm forced to use the road ever since the barricade.